The Sacrament of Marriage – Francis Xavier Cardinal Nguyen Van Thuan | It's the Women, Not the Men! The following was written by Francis Xavier Cardinal Nguyen Van Thuan. He was the Catholic Cardinal of Saigon when it fell to the North Vietnamese Communist Army in 1975. The Cardinal was one of the victims left behind when America pulled out of the war. The Cardinal was immediately imprisoned, spending the next thirteen years in jail, nine of which were spent in solitary confinement. During this time he wrote messages to his congregation, on scraps of paper, which were smuggled out of the prison. These messages of inspiration were later published as a book titled, The Road of Hope. In 2007, the Catholic Church began the beatification process for Cardinal Nguyen Van Thuan. The love of marriage has the power to stir the human heart to great courage, confidence, and generosity. Love helps your spouse to grow and gives your spouse the means for growth. To force your spouse to change by making that change a prerequisite of your love completely removes the very means of bringing about change. The unique way to secure a change in one’s spouse is to accept him or her in love-just as when that love was new. Change is effected only when one knows and feels oneself to be loved. If a person does not love the ‘flesh of his flesh and bone of his bones’ and cannot bring happiness to this fundamental unit of society-upon which every other society is based-then how can such a person think of reforming the world? Are you surprised to hear of the ‘vocation to be parents of a family’? People are mistaken when they restrict the idea of a vocation, that is, a calling to perfection, to the priest or religious alone. When, by means of the sacrament of Matrimony, two people solemnly sear to love one another in Christ for their entire lives, is this not a profession of faith a profession of vows? It is truly regrettable that the civilized world’s comprehension of the Catholic doctrine concerning marriage is limited to some of its prohibitions. From these the world does not gain the slightest inkling that Jesus came to redeem humanity through love, and that through the sacrament of Matrimony humanity is enriched in an extraordinary way. 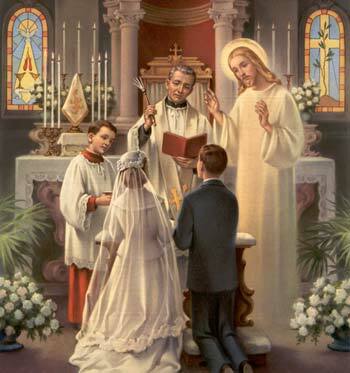 Therefore, study and present the beautiful and positive aspects of Catholic Marriage. To love your spouse is to act according to the will of God. When you realize this, you will understand that you can fulfill your vocation in the most ordinary circumstances of your life by perceiving God’s call even in the most trifling sanctify. This is a revelation that will revolutionize your whole life. The love between husband and wife is an image of the love of Christ for the Church (cf. Eph 5:31-32). In this mystery you will discover dignity, strength, and unity. The love that exists between a husband and wife is an extension of God’s love. How uplifting and supportive is this love of the partners! God has given you a loving spouse and beautiful children to help each other to become holy. What have you done with this gift? You must discover that you can and indeed have the responsibility to become holy in marriage and through marriage. The unity between husband and wife has to be absolutely complete: unity of body, love, mind, and spirit, through the presence of Christ. 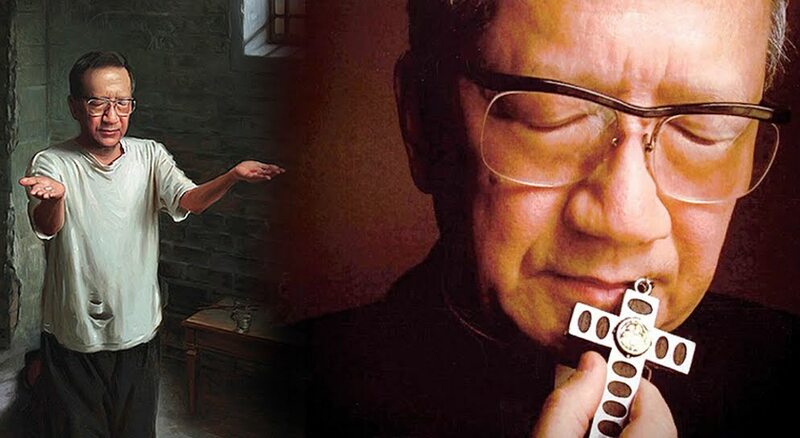 To love each other in God is very beautiful, and doing this for God’s sake is even more beautiful; then, the whole family listens attentively to God and advances together toward greater intimacy with him.